Landon Brown, fifteen year old high school football star, is always on the top of his game. That is until he receives a visit from an uncle he’s never met with information about Landon’s father, who disappeared without a trace thirteen years before. Landon learns that the life he’s been living is a lie and that his true nature is powerful and dangerous. He’s half dragon and a threat to the delicate balance that has kept dragon society hidden from humans for hundreds of years. Landon now must learn about his dragon heritage and train to control his incredible abilities with the help of the Elder Dragons, a bizarre trainer named Alpha, and other dragonoids like himself. He quickly realizes that the mysterious world of dragons, spirits, and secret societies are not for the weak. Tasked with finding the Dragon Sphere, an ancient relic harboring a terrible power that could destroy the world, Landon recognizes that he just might be way in over his head. Will he be able to control his newfound power in time for the fight of his life? Abel Gallardo was greatly influenced by Greek mythology, comic books, and the fantasy/mystery novels he had read as a child. Shortly after graduating with his Bachelor’s Degree in Sociology, he began writing stories that reminded him of the adventures he cherished growing up. 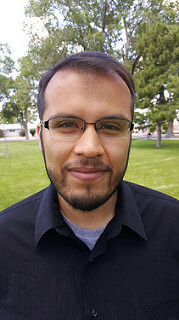 Abel Gallardo now lives with his wife and children in Albuquerque, NM. 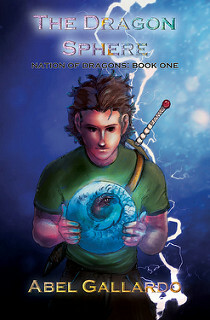 There is a tour wide giveaway for the blog tour of The Dragon Sphere. Two winners will each win a 10$ amazon gift card! Previous postAuthor Interview featuring Doug Howery’s The Grass Sweeper God w/a rafflecopter giveaway! Next postReview of Fighting Blind by C.M. Seabrook w/a rafflecopter giveaway!